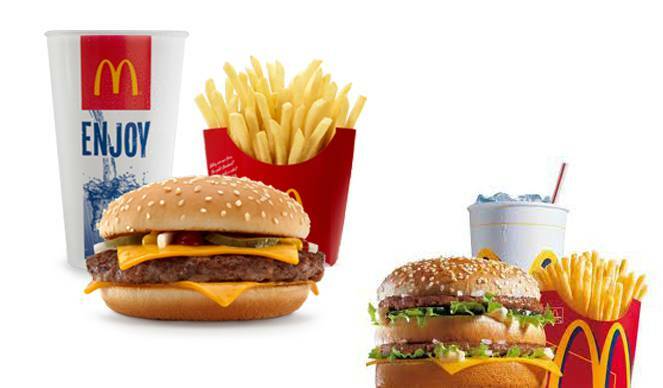 "M Lovin it" in every bite brand that is popularly known as McDonalds or simply MC-d is remembered for its c dishes which are cheaper in price and in taste. From school kids to youngsters and college buddies have their favorite breakfast and meals at very nominal costs. It's one of the largest hamburger fast food franchise in the world which is too famous for its burgers and low calorie french fries. This burger king has come out with delicious menu one can always hang out here and enjoy different snacks every time. Always servicing with lip smacking dishes, burger king is too unique and too specific about customers demand. It has always been a favorite hangout place for kids who could afford its luscious burgers in their little pocket money. A favorite breakfast point for professionals and a fun- loving place to hang out with four youngsters. Both of its veg and non-veg burgers are mouth watering and must try. To its customers it caters huge options for burgers like big meals, cheese burger, Mc double, bacon Habanero ranch quarter pounder, premium crispy chicken club, Mc Chicken, filet-o-fish, premium Mc wrap, honey mustard snack ranch snack wrap etc. Our non-veg menu includes chicken Mc nuggets, mighty wings, Mc wrap chicken and bacon etc. Our special breakfast menu includes egg Mc Muffin, egg white delight Mc muffin, sausage Mc griddles etc. We also offer super affordable happy meals to our customers which includes Mc Veggie meal, Mc Aloo Tikki meal, Mc Chicken meal and much more. It feels awesome if you get more ...for less. So witness our worthy services and pay least for it.